Data acquisition systems (DAS) are the basis for building monitoring tools that enable supervision of local and remote systems. Unfortunately, DASs are commonly based on proprietary technologies. The data format usually depends on the industrial process, the fieldbus characteristics or the development platform. Currently, there are many standards of DASs, but none of them offer a well-accepted Application Programming Interface (API). However, all of them comply with the same conceptual model. Understanding this model allows for the significant improvement of the design of a specific DAS. In this paper, we propose a conceptual model of a generic DAS. This model gives researchers an abstraction of DASs and a quasi-formal specification of a generic DAS. It also enables developers to compare the existing standards and/or to propose a new open standard. F. Olken, H.A. Jacobsen, C. McParland, M.A. Piette, and M.F. Anderson, ldObjects lessons learned from a distributed system for remote building monitoring and operationnd presented at Conference on Object-oriented Programming, Systems, Languages and Applications, Vancouver, Canada, October 18–22, 1998, http://www.lbl.gov/~olken/rbo/rbo.html. R. Itschner, C. Pommerell, and M. Rutishauser, ldGLASS: Remote Monitoring of Embedded Systems in Power Engineeringnd in IEEE Internet Computing, vol 2, 1998. au_A. Fabri, T. Nieva, and P. Umiliacchi, ldUse of the Internet for Remote Train Monitoring and Control: the ROSIN Projectnd presented at Rail Technology’ 99, London, UK, September 7–8, 1999, http://icawww.epfl.ch/nieva/thesis/Conferences/RailTech99/article/RailTech99.PDF. Victorian Government, ldAsset Management Series: Principles, Policies and Practicesnd, November, 1995, http://home.vicnet.net.au/~assetman/welcome.htm. OPC Foundation, ldOLE for Process and Control Standardnd, 1997, http://www.opcfoundation.org. ia_IVI Foundation, ldInterchangeable Virtual Instruments Standardnd, 1997, http://www.ivifoundation.org/. Open Data Acquisition Association, ldOpen Data Acquisition Standardnd, 1998, http://www.opendaq.org/. OMG, ldData Acquisition from Industrial Systems (DAIS)nd, Request for Proposal (RFP), OMG Document: dtc/99-01-02, January 15, 1999, http://www.omg.org/techprocess/meetings/schedule/Data_Acquisition_RFP.html. T. Nieva, ldAutomatic Configuration for Remote Diagnosis and Monitoring of Railway Equipmentnd presented at IASTED International Conference-Applied Informatics, Innsbruck, Austria, February 15–18, 1999, http://icawww.epfl.ch/nieva/thesis/Conferences/ai99/article/ai99.pdf. J. Rumbaugh, I. Jacobson, and G. Booch, ldThe Unified Modelling Language Reference Manualnd, Addison Wesley, 1999, http://www.rational.com,http://www.omg.org. B. Appleton, ldPatterns and Software: Essential Concepts and Terminologynd, November 20, 1997, http://www.enteract.com/~bradapp/docs/patterns-intro.html. Merriam-Webster, ldWWWebster Dictionarynd, 2000, http://www.m-w.com/. 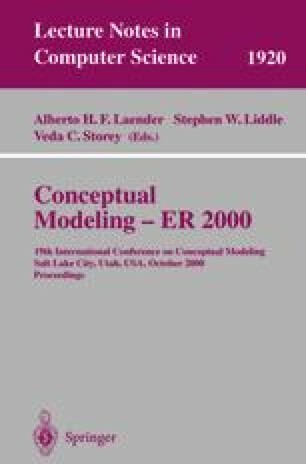 M. Fowler, ldAnalysis Patterns: Reusable Object Modelsnd, Addison-Wesley, 1997, http://www2.awl.com/cseng/titles/0-201-89542-0/apsupp/index.htm. Utility Communications Specification Working Group, ldIEC 60870-6-503, Telecontrol Equipment and Systems — Part 6: Telecontrol Protocols Compatible with ISO Standards and ITU-T Recommendations-Section 503: TASE.2 Services and Protocolsnd, August, 1996, ftp://ftp.sisconet.com/epri/iccp/iccp503.doc. Utility Communications Specification Working Group, ldIEC 60870-6-802, Telecontrol Equipment and Systems — Part 6: Telecontrol Protocols Compatible with ISO Standards and ITU-T Recommendations-Section 802: TASE.2 Object Modelsnd,August, 1996, ftp://ftp.sisconet.com/epri/iccp/iccp802.doc.